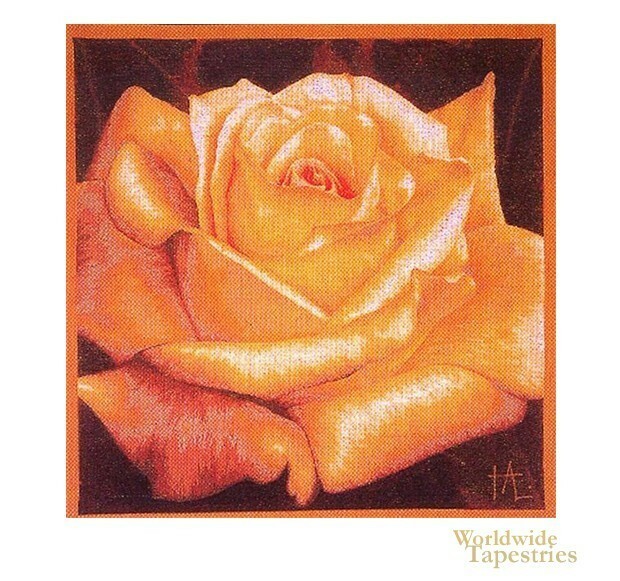 This tapestry "Grand Rose" shows a study of a yellow rose bloom. Floral still lifes have been the subject of art for centuries. Here we see the rose flower in a close up view, with its petals opening in its characteristic folds. It's companion piece is "Grand Rose Red". This floral tapestry "Grand Rose" is backed with a lining and has a rod pocket for easy hanging. Dimensions: W 55" x H 56"